A cross section of Nigerians have reacted to the sudden appearance of the leader of the Indigenous People of Biafra, IPOB, Nnamdi Kanu. Kanu had not been seen since September 10, 2017, after some military men invaded his residence in Afaraukwu community in Abia State. 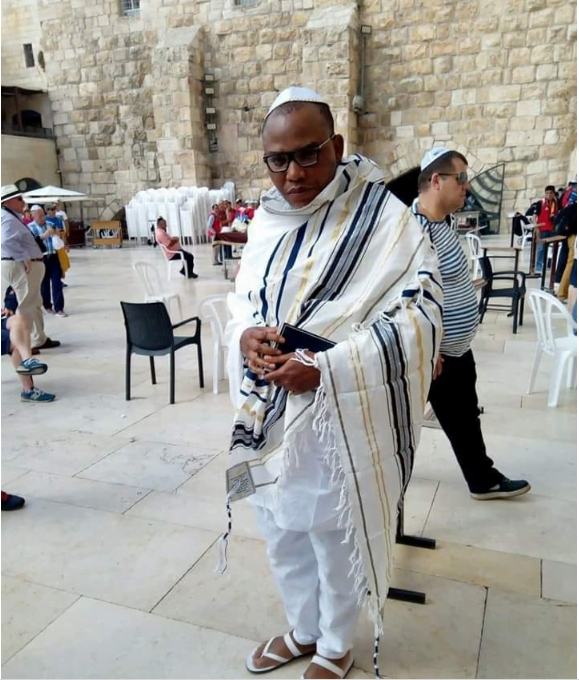 However, a video and photographs emerged on Friday of the IPOB leader praying in Jerusalem. Reacting to Kanu’s appearance, Nigerians who took to their Twitter handle expressed divergent views. Nnamdi Kanu was arrested and freed by the federal government under the condition shows up by this period and cause voter apathy in the southeast next year in the name of IPOB so Buhari can win.